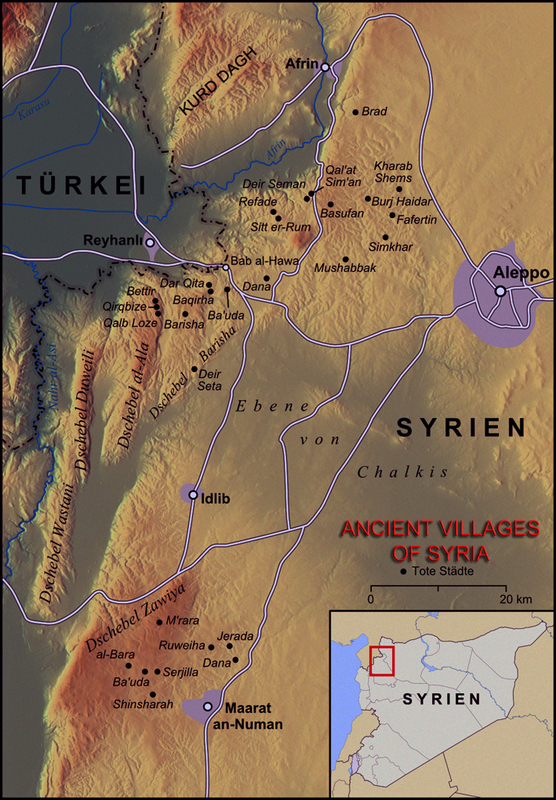 This is a Rihla about the small breakaway Canton of Afrin, one of the three cantons of Rojava (Rojavaye or Western Kurdistan) in the north of Syria, home to many of the deserted Ancient Villages (a.k.a. Dead Cities) of Northern Syria. 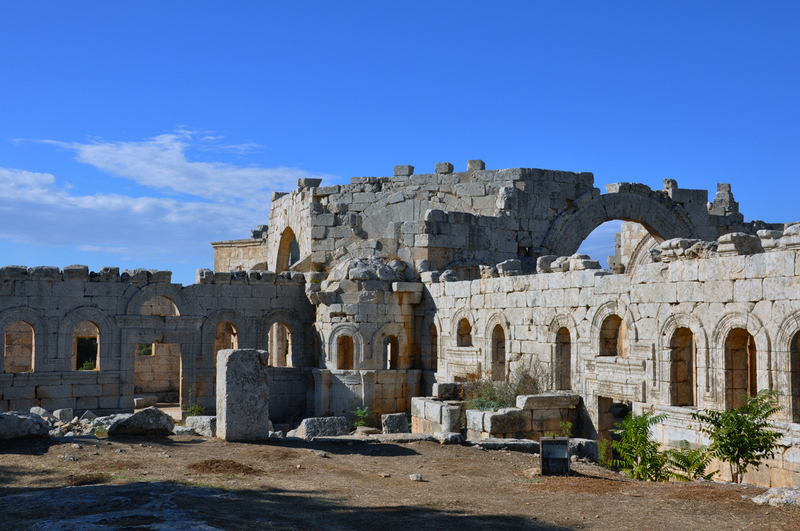 On the 11th October 2010 I travelled northwards from Aleppo to visit the monastery complex of St Simeon at Deir Sam’an in Afrin district. 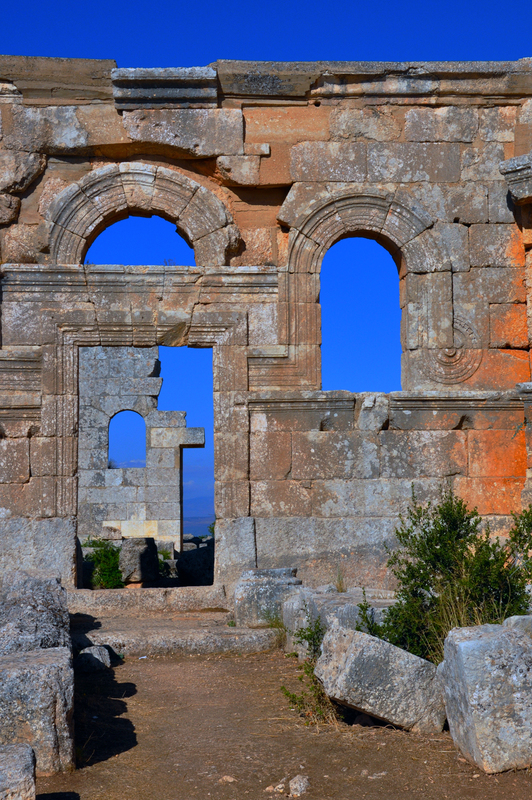 It was a time of rising tensions in Syria but travelling then was both safe and possible. By January 2014 however Afrin (‘Ifrin) District, one of the 11 districts that previously constituted the Aleppo Governorate in northern Syria, declared itself part of a Democratic Confederalism and one of the three Cantons that would constitute the autonomous territory of Rojavayê Kurdistanê (Western Kurdistan) or Rojava. 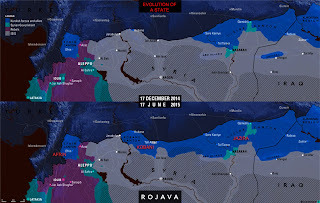 The other two cantons from west to east are Kobani and Jazira and in the past two years Rojava has spent much of its energy and focus on confronting ISIS (Islamic State in Iraq and Syria), Rebel and Government forces to establish the territorial remit of the Confederation. 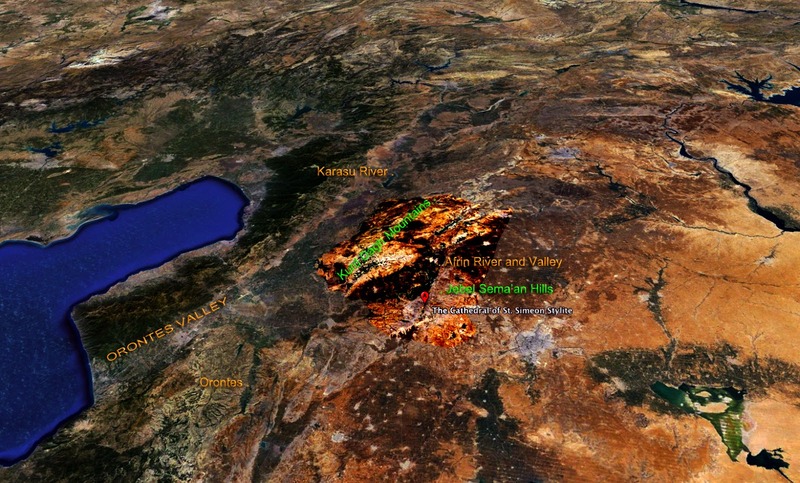 Within its borders the new Afrin Canton contains, scattered on the hills and mountains (Kurd Dag, Jebel Sem’an, Hariqa & Barisha) of the exposed Limestone Massif (Massif Calcaire) that stretches 30-40 km east-to-west and 120 km north-to-south (with Jebel Al Al’a, Jebel Doueili, Jebel Wastani & Jebel Zawiye to south west of Afrin territory) in northern Syria, some of the most important of the 700 plus UNESCO inscribed Roman-Byzantine sites (towns, villages & monastic settlements) known as the Ancient Villages of Syria. 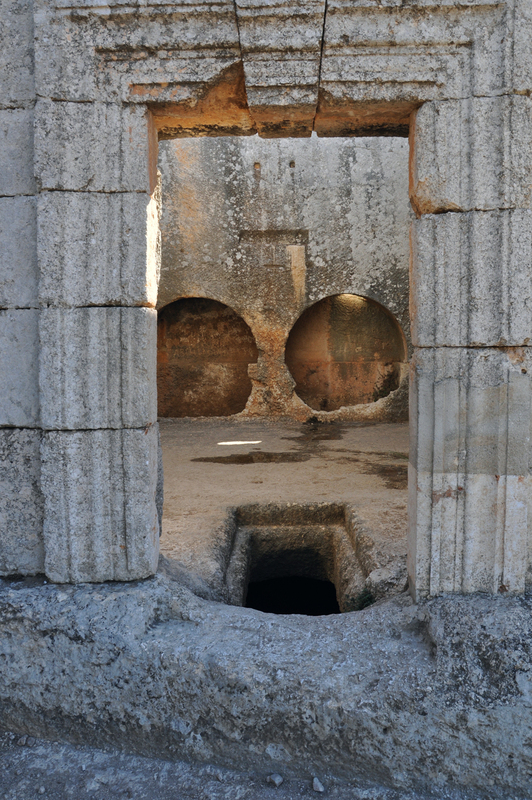 Collectively these sites, concentrated in eight demarcated zones, were inscribed a year after my visit, as a Cultural Landscape on the World Heritage List of Outstanding Universal Value. 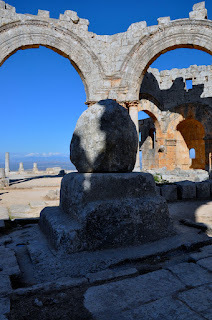 One of the most important of these sites is the monastery and church of St Simeon the Stylite at Deir Sem’an, about 20 km south of Afrin on the north-western edge of the Jebel Sem’an outcrop of the Massif. 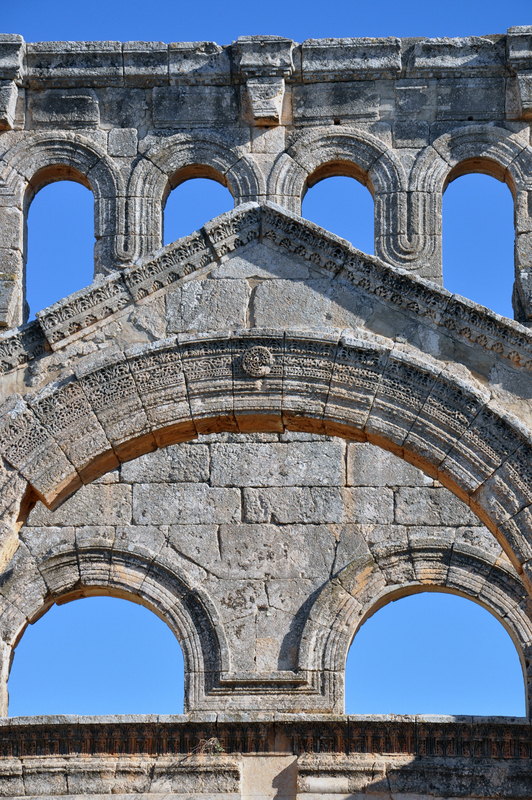 St Simeon was born in Sis, the capital of the Armenian Kingdom of Cicilia, north of present-day Adana around 390 CE. 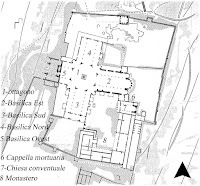 At a very early stage, and as an extension to hermetic example of the early Christian Desert Fathers such as St Anthony, he adopted very extreme and fanatical hermetic practices, which even alienated the monastic community at Eusebona that he had joined at the age of 16. 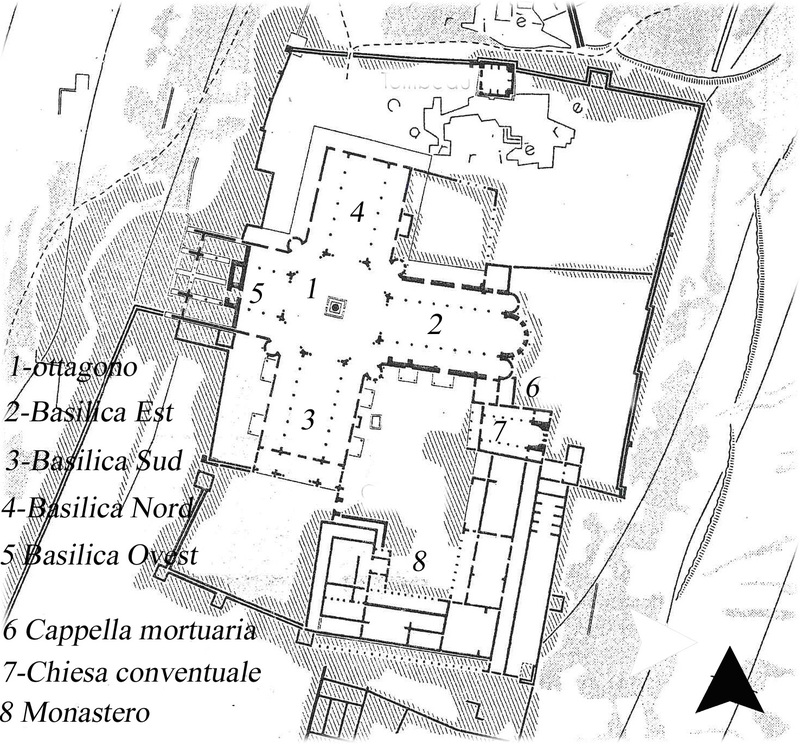 Expelled from the monastery he made his way to an almost deserted hermitage run by Bassus at Telneshae (Telanissos). 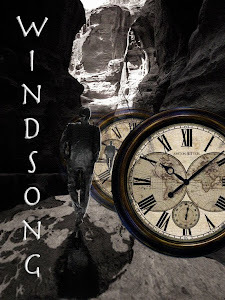 Here he shut himself away and fasted for a year-and-a-half in a hut before finding a narrow rocky ledge to perch on. He remained in this small open cell for about 10 years until about 422 when a vision induced him to thereafter conduct his devotions and fasting atop a stone pillar. His style of asceticism irritated the authorities because they thought it was similar to the pre-Christian local Ashera Pole form of pagan worship to the Canaanite mother-goddess of fertility Asherah (Astarte or Attart). Soon the pilgrims and ‘sightseers’ that sought him out forced him to put an increasing vertical distance between his piety and their pursuit. Gradually a taller and taller pillar was erected for him to live on, the last being over 50 feet in height. 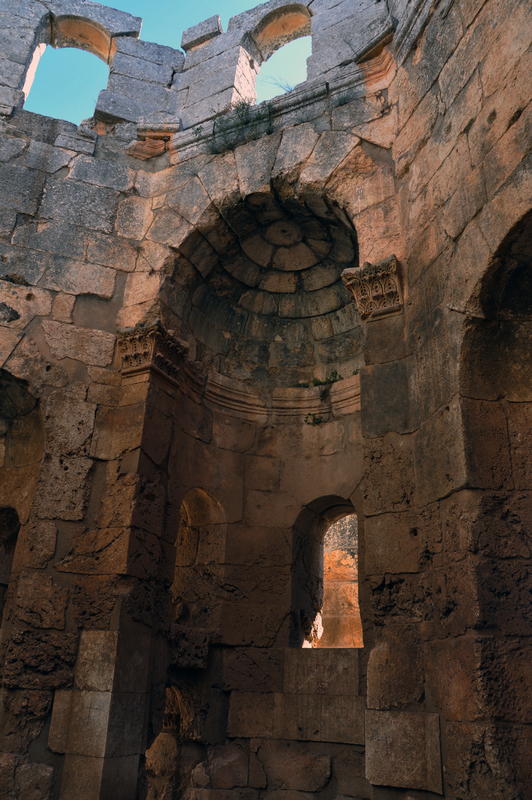 A small balcony balustrade was erected around the pillar platform to prevent him falling to the ground if he collapsed during his fasting and devotions. 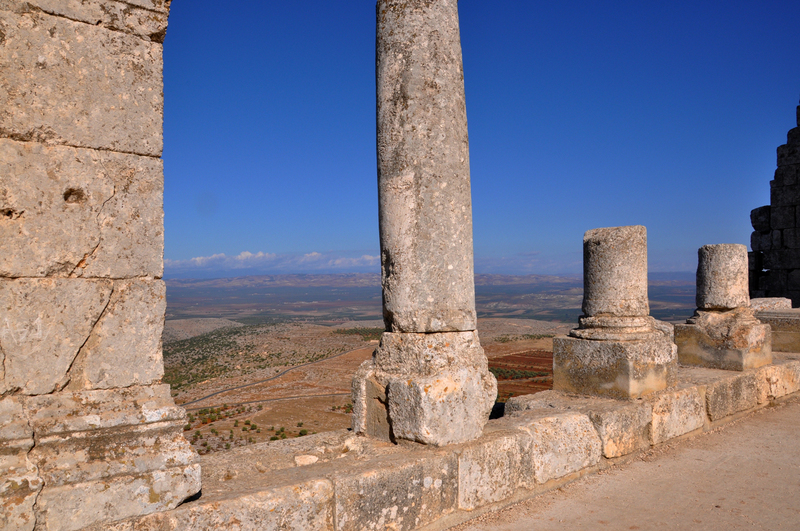 In total he lived 37 years on top of the pillar, dying in September 459 CE. 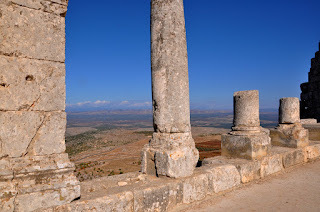 It is recorded that in all his years on top of the pillar Simeon Stylites never spoke to a woman, paradoxically in a village called Telneshae, the mountain of the women. This may have been a consequence of the earlier accusation of him venerating Asherah. 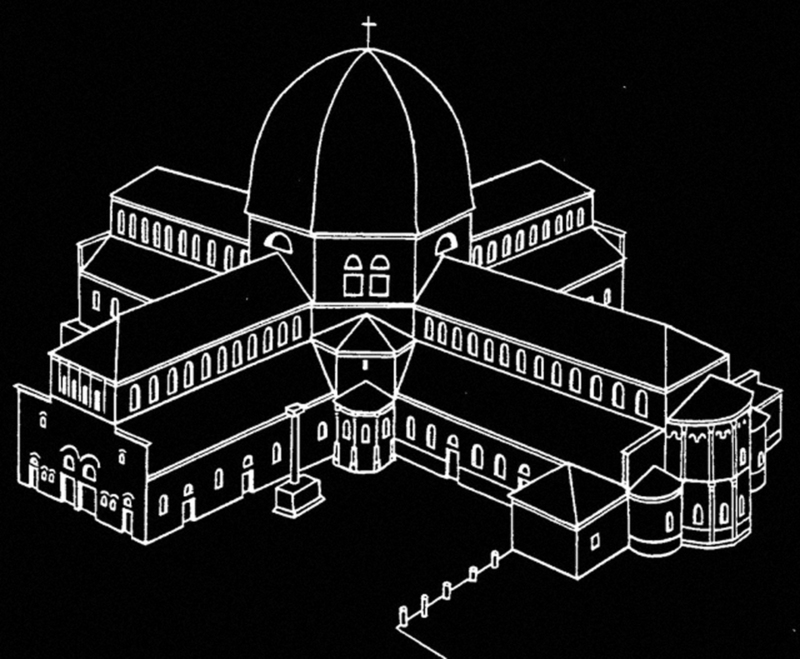 Following St Simeon’s death his body was taken down and paraded throughout the area of the Massif before being taken to the cathedral of Constantine in Antioch. 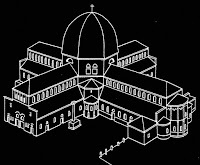 Shortly afterwards, and particularly during the reign of the Byzantine Emperor Zeno, a vast devotional monastery complex developed consisting of a central octagon–shaped building surrounding St Simeon’s pillar and attached to four basilicas at the cardinal points, including one modelled on the cathedral of Constantine. 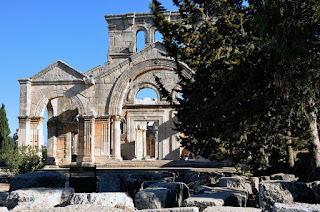 This basilica was specifically built to house Simeon’s remains following their transfer from Antioch. 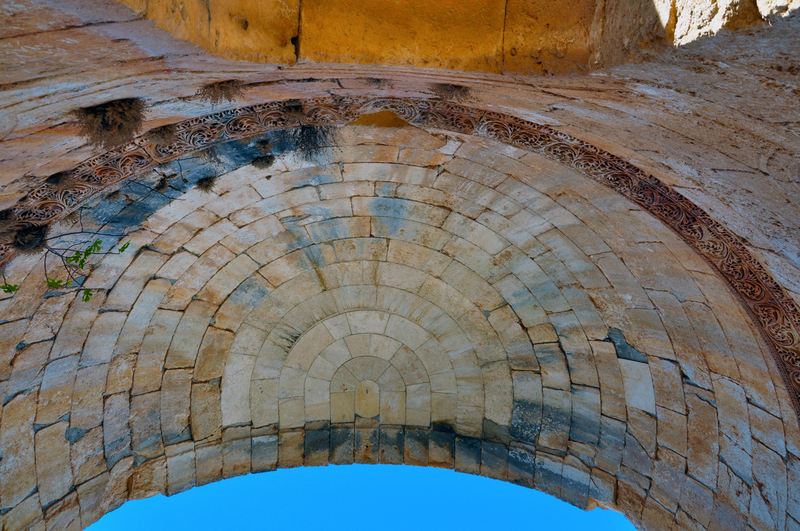 Simeon’s name derives from the Hebrew shama, meaning to hear and interestingly the sama (in Turkish and Arabic) in Mevlevi Sufi ceremonies also means listening. It was also a feature of his very specific devotional practice. The St Simeon complex was damaged by earthquakes in 526 and 528 CE, yet survived and indeed was further fortified following the Byzantine re-capture of Antioch from the Muslim Arabs in 969. 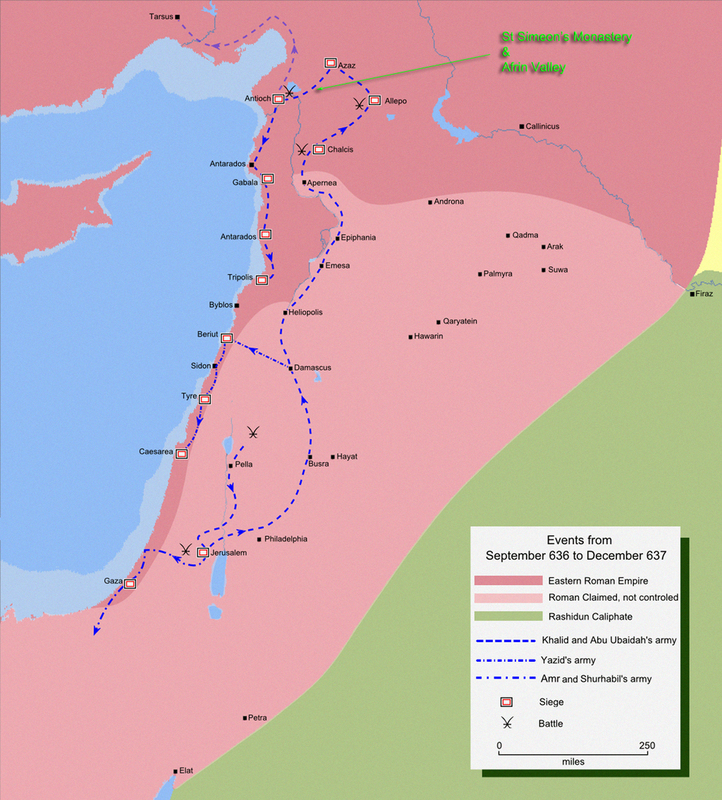 The stability was not to last however and the arrival of the Seljuk Turks in 1128 was to precipitate a final abandonment of the monastery. By the early years of the 12th century most of the Ancient Villages of the Massif were abandoned and most remained ignored as possible agricultural re-settlement areas for 800 years. 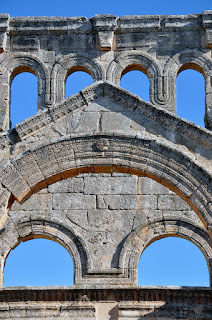 The reasonable state of preservation of the various sites lies not only in that avoidance but also by virtue of the fact that most of the buildings, secular and religious, given the lack of forestry in the area, were constructed of the Massif limestone rather than wood. 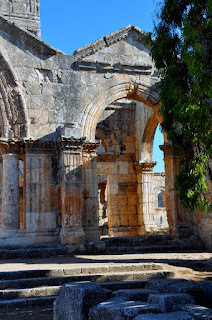 The monastery complex of St Simeon is one of the best preserved of them all. 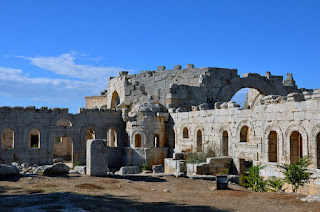 In 2013 there were reports of looting at the complex but on the 28th May 2015 the pre-dominantly Kurdish YPG/YPJ (The People’s Protection and Women’s Protection Units) of Afrin Canton, Rojava captured the site of St Simeon’s monastery from ISIS and have established a permanent security presence there. 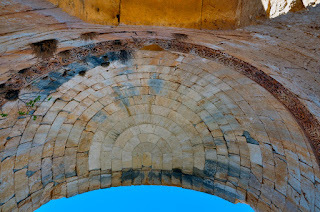 Unlike Palmyra little or no damage had been caused to the site. Even amongst the Cantons of the evolving “grand experiment in statehood” of autonomous Rojava Afrin Canton appears to be adopting a very different “road-map” to the future. Similar in size (approx. 1,800 km2) and population (1.2 million including refugees) to the Swiss Canton of Zurich from an ethnic perspective its make-up includes a majority of Kurds (74%) but also Arabs (24%), Turkmen, Armenians and Syriac Christians. The religious affiliation of the Kurdish population in Afrin Canton also differs significantly from the other cantons. 89% of the Kurds in Afrin are Sunni Islam but in contrast to the vast majority of Sunni Kurds in the other cantons of Rojava, who are mainly of Shafi’I school of Islamic jurisprudence, they are of the Hanafi tradition, reflecting a long association with Ottoman Turkey. 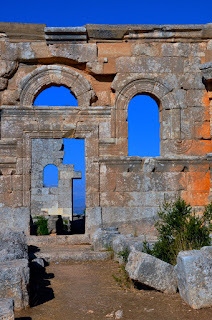 The history of Kurds rather than Arabs or Turks inhabiting this part of Syria is reflected in the name of the mountain range, Kurd Dagh to the north of the Afrin Valley. It is possible that this mountain range, an extension of the Massif, was colonised around 1150 by Kurdish soldiers and their families who had once been in the service of the Zenegid rulers of Aleppo and who later underwent induced conversion to the Sunni Hanafi version of Islam of Ottoman Turkey. 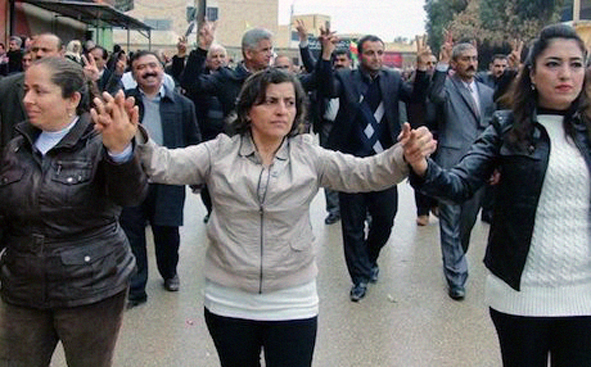 Alevi-Kurds represent about 4% of the Afrin population. 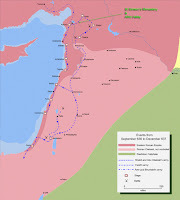 Alevis are a sect, whose origins are quite similar to the hated and ruling Alawites of Syria, both of which evolved as a consequence of Qizilbash missionary activity by the Safaviyya Shia of Shah Ismail I around about 1500 CE (See Rihla 31 On Chaldiran, Iran), who are descendants of the small numbers of Alevi who survived the Shakulu genocide of 1511 orchestrated by the Ottoman Sultan Selim I. The Prime Minister of Afrin Canton is Hevi Ibrahim, a Kurdish-Alevi. She is at pains at present to play down the Canton’s desire for Statehood fearing that the establishment of any kind of a perceived Kurdish State will alienate Turkey in particular, who will then strive to strangulate the process before it gets a chance to establish. She has said somewhat disingenuously, “We don’t want enemies and we are doing our best to prevent Syria falling apart.” Her cabinet contains Arab and Yezidi ministers . Yezidis are of Kurdish extraction but they and the United Nations consider themselves as a distinct ethnic group. They constitute about 1% of the Afrin Canton population. The Rojava constitution specifically singles out Yezidis for protection but already the Yezidis of Afrin Canton appear to be in conflict with Yezidis in the other cantons because of their particular over-reliance on Zoroastrian elements in the practice over their faith. There are about 13 Yezidi villages in the Jebel Sam’an and two more on the southern edge of the Kurd Dagh (Ciyaye Kurmenc) mountains and they have been living in the Jebel Sam’an area for hundreds of years. At one point (and may still do for all that is known of the very secret sect) the Afrin valley comprised the second most important “See” of the Yezidis faith. Suleiman Jafer is a Yezidi and the Minister for International Relations in Afrin Canton. 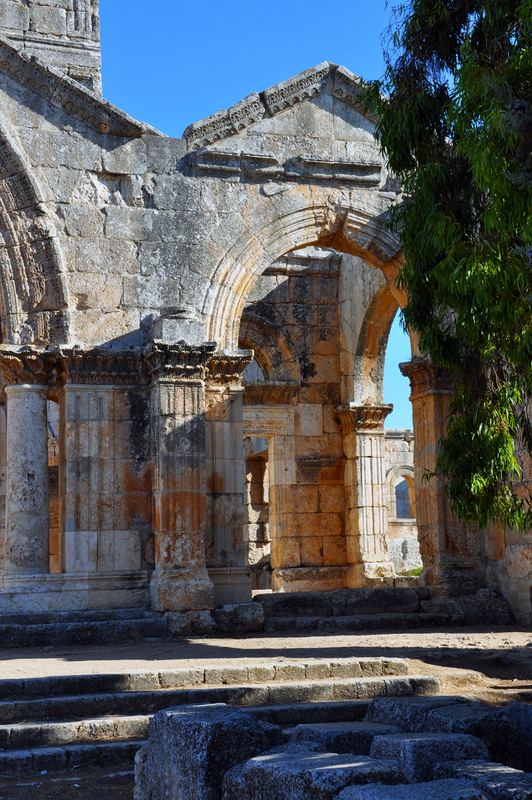 In 1671 the French Consul in Aleppo Joseph Dupont reported that the spiritual leaders of the Yezidis had assembled at the ruined monastery of St Simeon to meet with Capuchin and Jesuit missionaries. Sir Paul Rycaut in his memories of the Ottoman Empire published in 1686 reports a Yezidis monastery in the Jeumee (the Kurdish name for the Afrin valley) area and also seems to imply that the Yesidis at that stage had two superior religious leaders (rather than the one at present who is Khurto Hajji Ismail in Iraq) and who would meet at fixed times to ‘consult for the good’ of all of the Yezedis. One of these leaders was based in Afrin and the other in Lalish north of Mosul. Afrin Canton is determined to go its own way even if Rojava fails. It has decided, like Ataturk’s prescription for Turkish statehood in the past, to replace the Arabic script and introduce the Latin script in schools, street signs and in official usage. Unlike the other Cantons of Rojava and the rest of Syria it has adopted European daylight-saving time-setting and for the present many of the textile businesses of Aleppo have relocated to Afrin and the economy is booming. 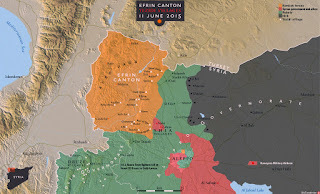 Afrin Canton however despite its protestations about separate Statehood away from Syria and even Rojava is entrenching itself. 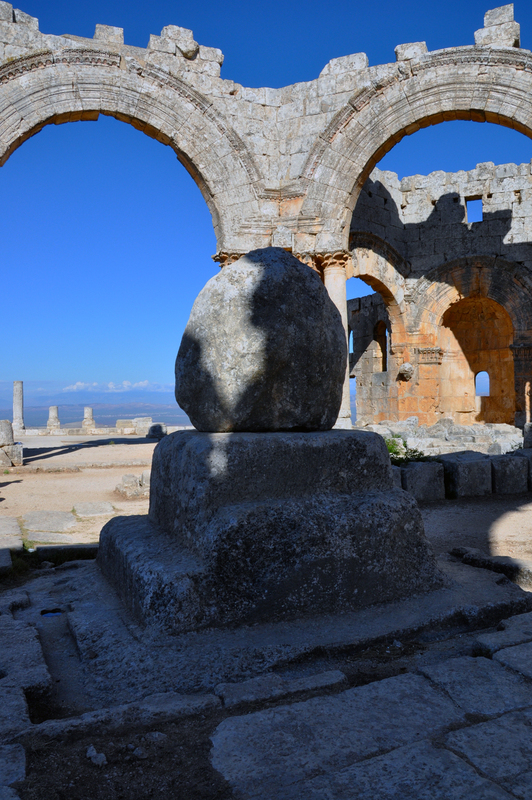 The Jebel Sam’an of St Simeon is now guarded by new ‘pillars’ with armed ‘stylites’ on the platforms. 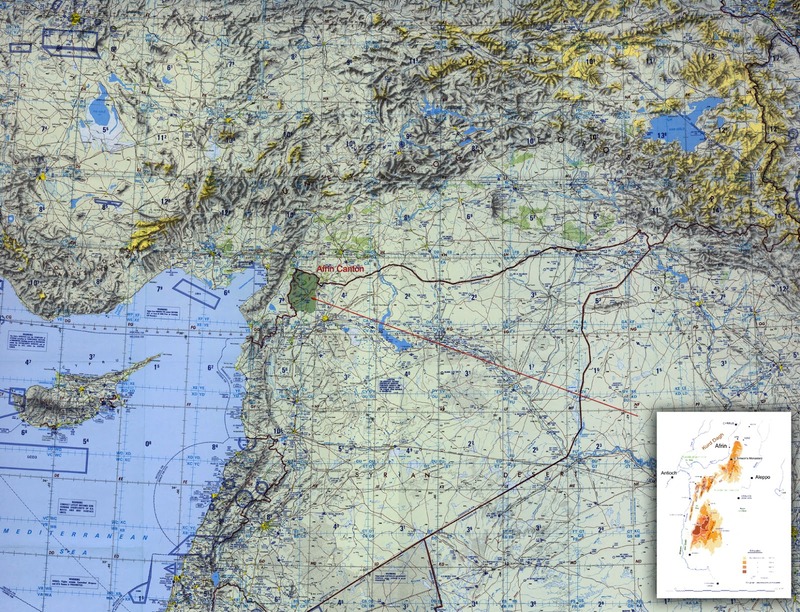 The guard-towers are linked by reinforced tunnels and elsewhere a 50 km ‘border’ trench is also being dug and fortified. 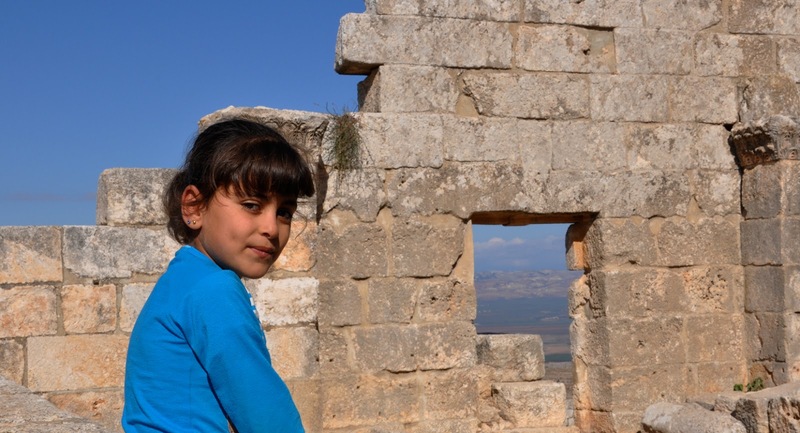 In a time when Europe is seeing hundreds-of-thousands of Syrians fleeing the country, those in Afrin are determined to stay, to evolve, to exist. Afrin Canton, whose Kurdish identity was forged by appropriating Mevat land on the Kurd Dagh mountains beyond the limits of human hearing, is an ‘Listening’ or ‘Sema’ State in waiting. Quietist almost! Those Mevat or Dead Lands, like the abandoned Ancient Villages, are about to rise again. And then we can only listen to the noise.